This is a mid-level diving mask. Suitable for both snorkelling and diving. Prescription diving masks offer divers and snorkelers the ability to see underwater and also help you return safely to your boat or shore. If your prescription is between the strengths shown then usually select the stronger. See our advice pages for more guidelines. 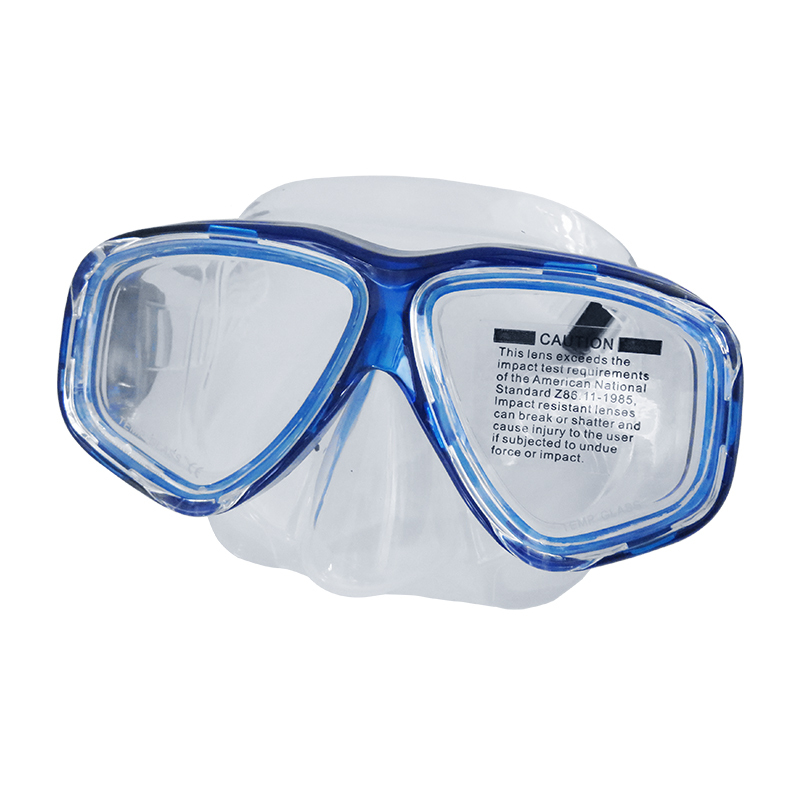 High spec SILICONE mask suitable for both Scuba Diving and Snorkelling. Prescription lenses made from tempered shatterproof safety glass. High quality twin seal mask seal making it water tight and comfortable. Mask strap is easily adjusted with speed adjuster clips. This is a very popular mask and has great customer reviews. We supply this mask with FREE Protective Mask Box worth £4.95. Use the drop down menu below to select you lenses and mask frame colour. We are so confident you will be happy with your prescription mask that we offer a GUARANTEE as long as the mask has not been used in water you can return it to us for a refund if you are not happy with your mask. Got any other questions? Then call or email us we are always happy to help.